I was going to share my daughter's bedroom redo with you late last year. Being the bad blogger that I am, I never shared it. One day, I got a bee in my bonnet. and in my son's case...too big & tall, for their twin beds. Wouldn't it be nice to buy the kids bigger beds? They'd be so much more comfortable. It'd be nice to have the extra room. just because bigger beds were in order. You will not see a room that is devoid of real life. Magazine-ready kid bedrooms are unreal & unnatural. Kids have stuff, and stuff has to go somewhere. It can't always be hidden behind closed doors. Phew...glad I got that off my chest! Her room came together from those loves. want to part with any of it. when we found this pretty quilt at TJ Maxx. 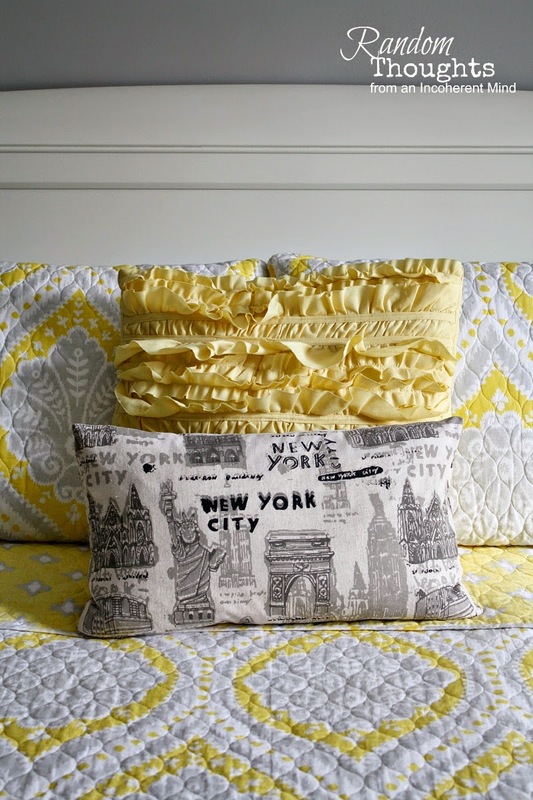 NYC pillow from this shop at Etsy. 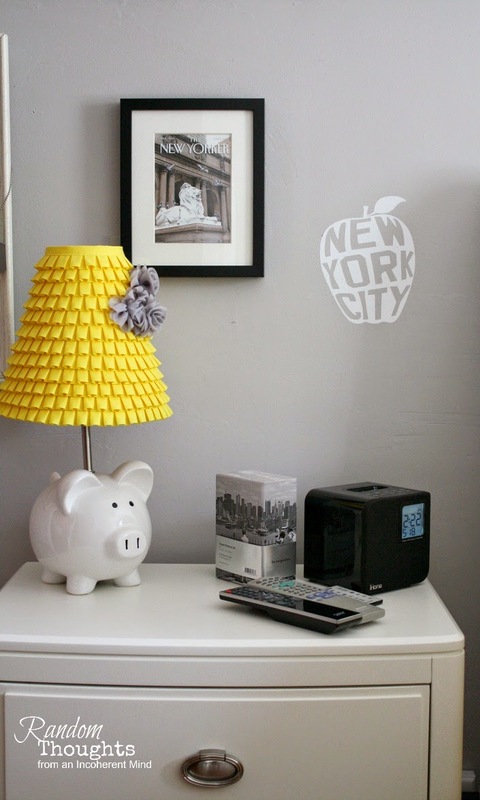 I shared my DIY lamp shade for Mr. Pig here. NY Public Library art found on the streets of NYC. Our Lady Liberty and a favorite book of New York. You can't talk NYC without some subway art! loaded with books & other stuff. this smaller room as her bedroom. shelves = books; books = happiness. Sherlock Holmes ala Benedict Cumberbatch! 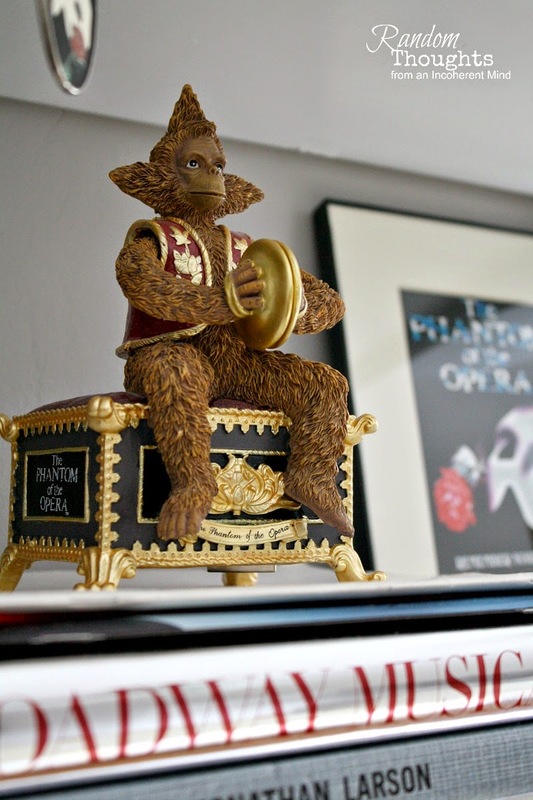 The music box from The Phantom of the Opera. I hope you enjoyed your tour of Olivia's room. P.S. I've been thinking about adding an area rug. Gina I love this room - it is AWESOME! Funny two things: just yesterday Joss and Main had some awesome rugs in an event - some that would REALLY work in Olivia's room. Also today I got a Home Decorator's catalogue with free shipping on all their rugs currently. May wanna check them both out and see. There's lots to choose from that would work well for ya. What a beautiful room!! I'm with Laura..When mine were teens you couldn't see the floor for clothes. It looks really GREAT!!!! You/she did an awesome job...and it looks like a real teenager's room (but cleaner than most). I love the color choice and all the artwork. Your daughter has great taste. 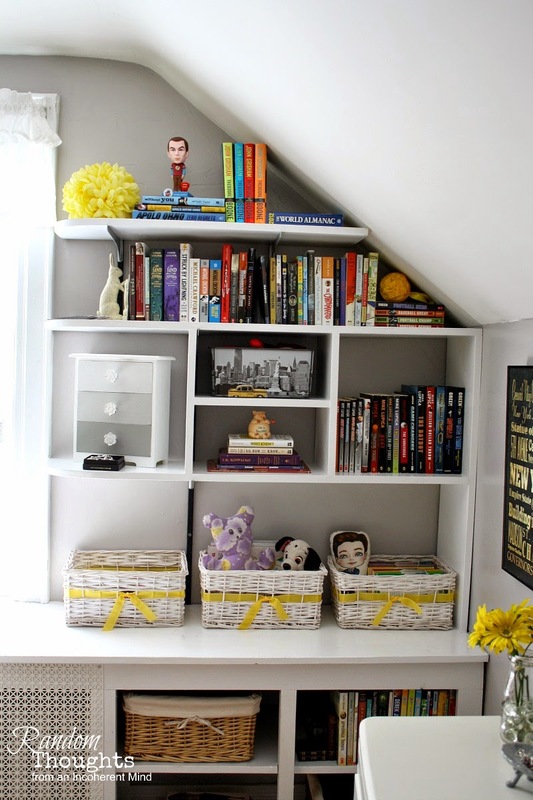 Attic rooms are the best, and the built in shelves are such a great use of space. There are so many cute rugs to choose from, and it would make a nice accent for her room. Let your daughter know, that she has great taste!! This room is wonderful!!! Love the color combo and all the things she collects, esp. the books!! Very special and also very neat!! A small rug next to the bed for those cold winter mornings would be nice!! 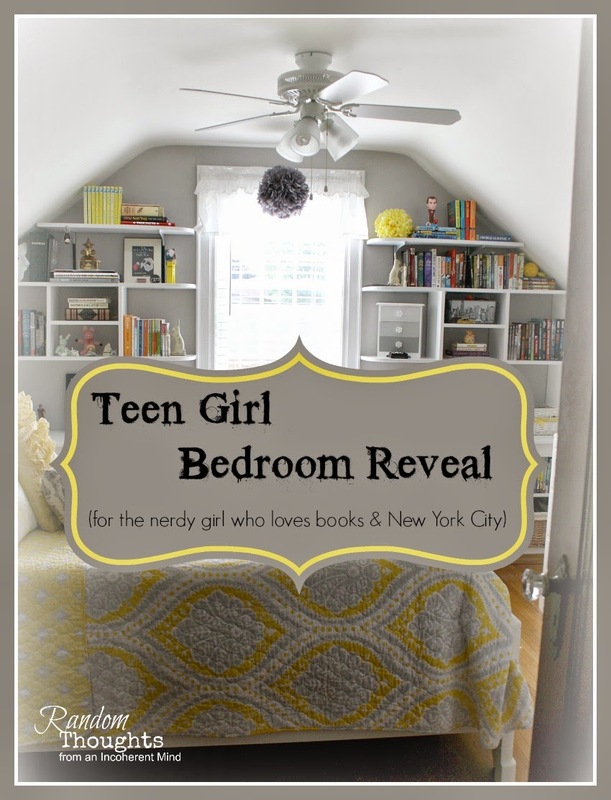 What a perfect room for a teen! So many memories are kept in such lovely fashion! I sense that Olivia's favorite musical is "Phantom"! Having traveled to NYC for business about 4 times a year during my early career days, I immediately felt the energy of that amazing city as I toured with you, Gina! Tell Olivia thanks for sharing! Here's the deal! - When she goes to college to pursuit a very interesting career - such great taste can't resume to the most amazing teen four walls I've seen - I'm moving in. I'll be good to you, I'll help you around the home. I "just" want to wake up and feel a (very) modern Holly Golightly. Thank you for the amazing job, Mum and (brilliant) Daughter. Your sharing is appreciated. I agree that rooms are meant to be lived and enjoyed but it's good to see order and sense and sensibility in Life and this room (as well as your Home) reflect exactly so. Oh gina.. it is stunning! I wish that my youngest would let me "help" with her room. At the moment it looks like an episode of hoarders! : ) Yikes!!!! Gorgeous room! I have 2 daughters and we've been working on their rooms, and believe me, they have way more "stuff" than should be allowed! I love your daughters bookcases! And the color scheme! Great makeover Gina!!! Hi Gina, The room is so pretty. love the color combination. It's so nice to see it all organized and tidy. A rug would be awesome to tie it together. I am impressed. I'm with Olivia, books and shelves should go together. It looks lovely by the way. Gina, this is just the perfect room for a young girl. Beautiful! Love the color scheme. You guys did an amazing job! This bedroom is absolutely fabulous. I am drooling govern the Musical box. My daughter would love that. 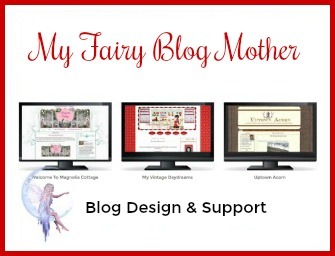 I would love for you to share this awesome post at our WIW Linky party. I hope you can join us. I love that you found the spread at TJ Maxx and then picked a color scheme. I am not a gray lover, but it works beautifully here. 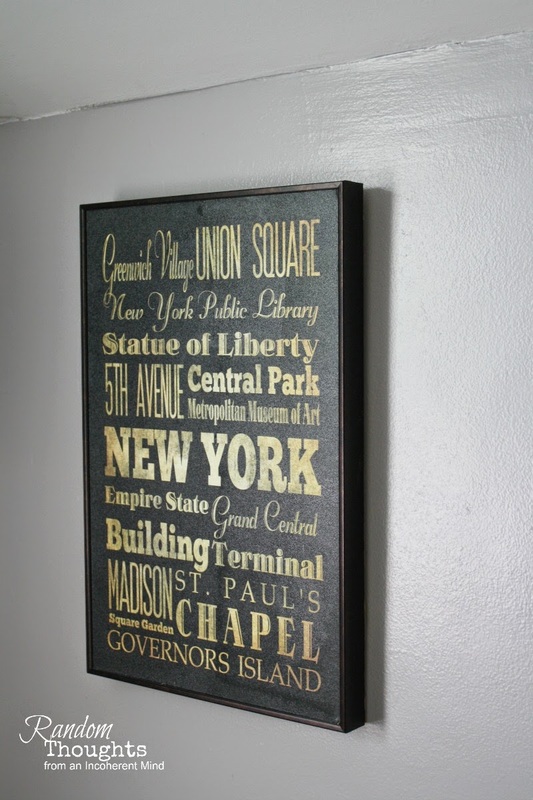 And, I love all the NYC "stuff". It's so beautiful! I love the color palate of yellow, gray, and white. It looks so good! 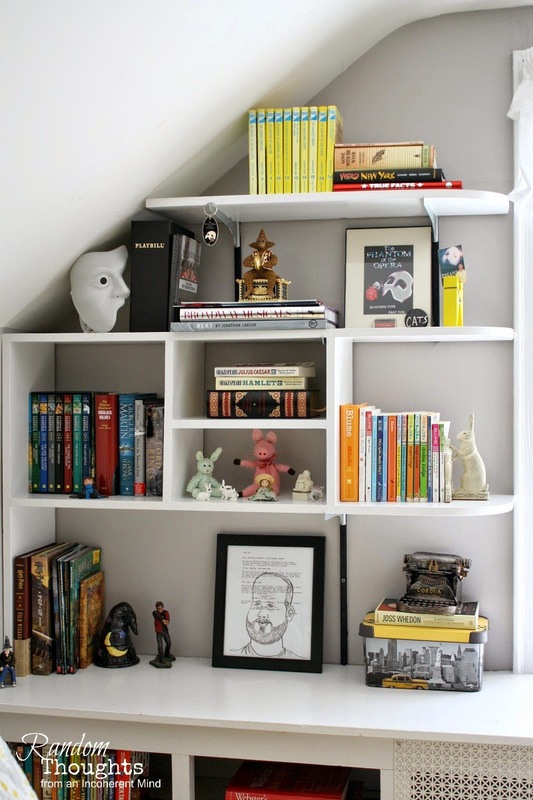 I would die for those shelves in my room! 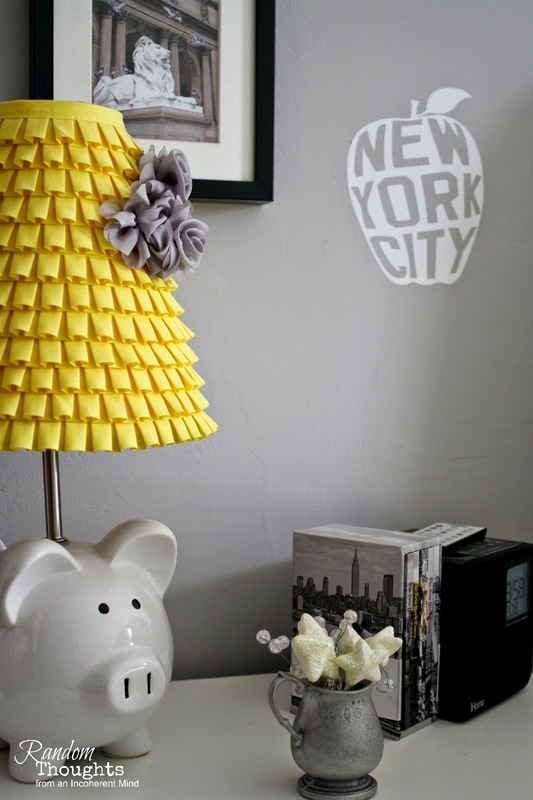 : ) I love that she loves NYC and BOOKS! How awesome! 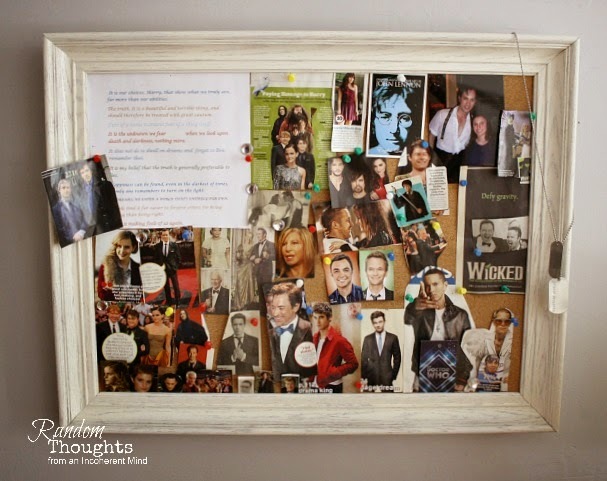 All your little touches looks so great! It's perfect...I love, love, love it! We've been working on my daughter's room too. Will be sharing soon. Happy weekend my friend. My mom and I toured the room and love all the personal touches!! Oh wow, her room looks gorgeous! 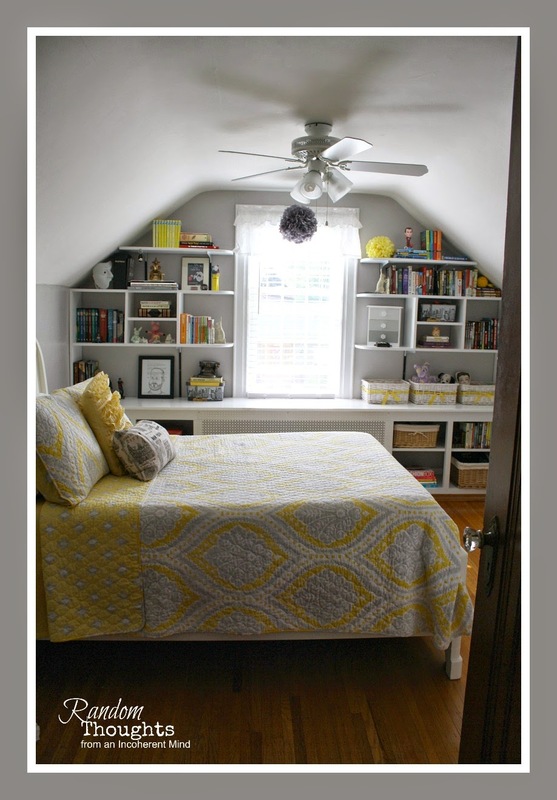 Love the shelving and the bedding is so bright and happy:) I think a rug would look great and would probably feel nice on her feet in the morning! Gina, this room is gorgeous! 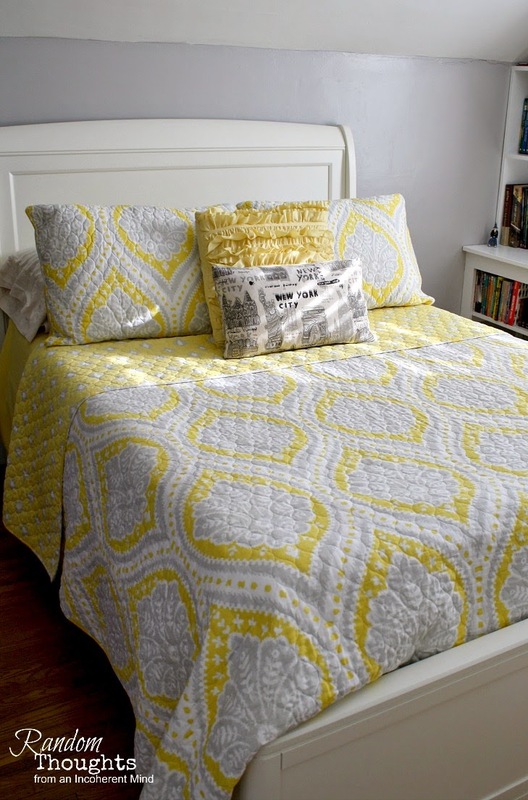 I love the quilt. It's the perfect color combination. Really popular right now. 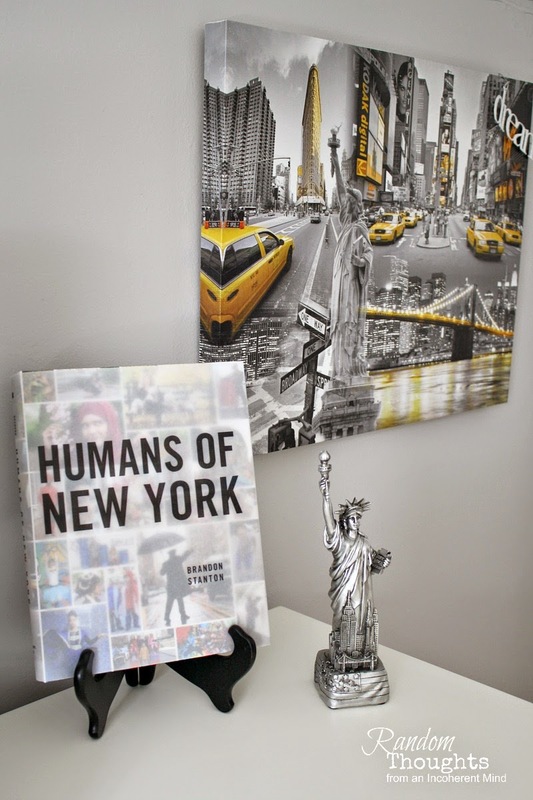 My hubby loves Humans of N.Y. and has it on his phone. The shelves are perfect for holding all of her special things. Great that she loves books, and books, and more books! WOWERS!! I love it and I am sure your daughter is over the moon about her great room! I love the color combination and I have had fun doing our spare room with yellow as well,,,,,usually not my number one color I would go to. Always fun to try new ideas and you have put this room together,,,,magazine perfection!! I love the New York theme and the color combos! Just gorgeous! 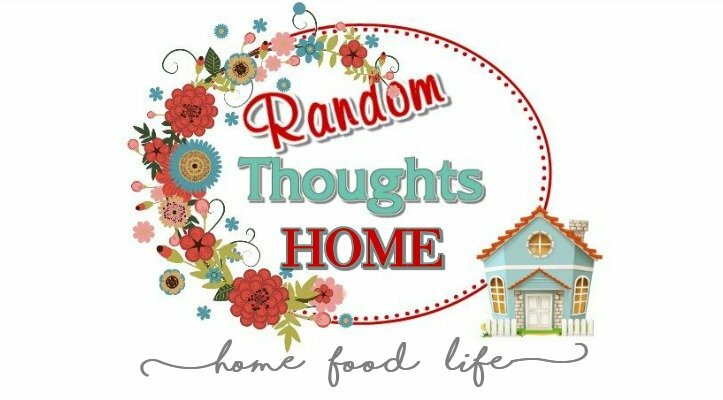 Thank you for linking with Home Sweet Home! LOVE this room with the sloping ceiling / bookcases in the alcove, all the colors etc. Love the room and I want to show it to Shelley. 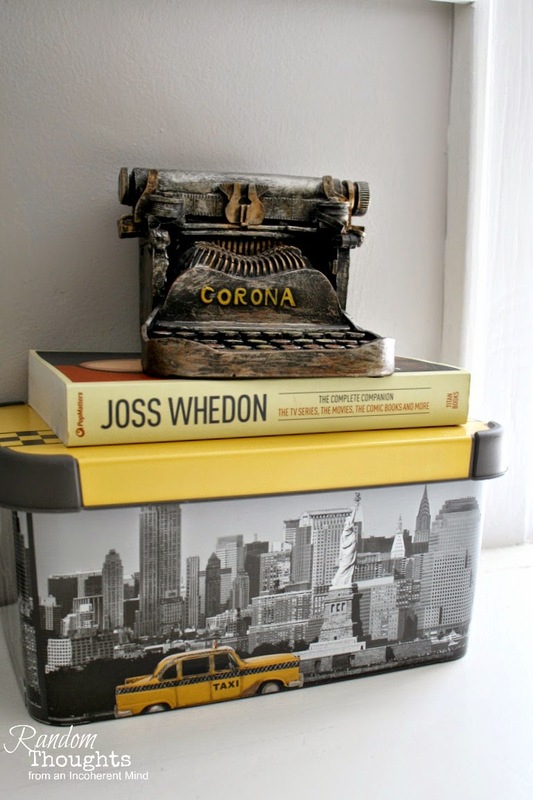 THe pops of highlighter yellow is my favorite thing about the room. Its adorable, Gina! My daughter's room, in her own home, is gray and yellow too! She loves it. I have to say that Olivia has her "stuff" organized and totally under control. If you decide to get an area rug think about getting an outdoor one. You can take them outside and clean them with the garden hose. No spills will really absorb either. I have them all over my house and love them. Just a thought! p.s. they have come a long way and you can't even tell that they are for outdoors. Very pretty, Gina! I love the color scheme. I have to pin this because my daughter was just talking about doing her guest room in grey and was asking was other colors to go with it. I told her yellow and this room is a good example to show her. I love your daughter's book selection. 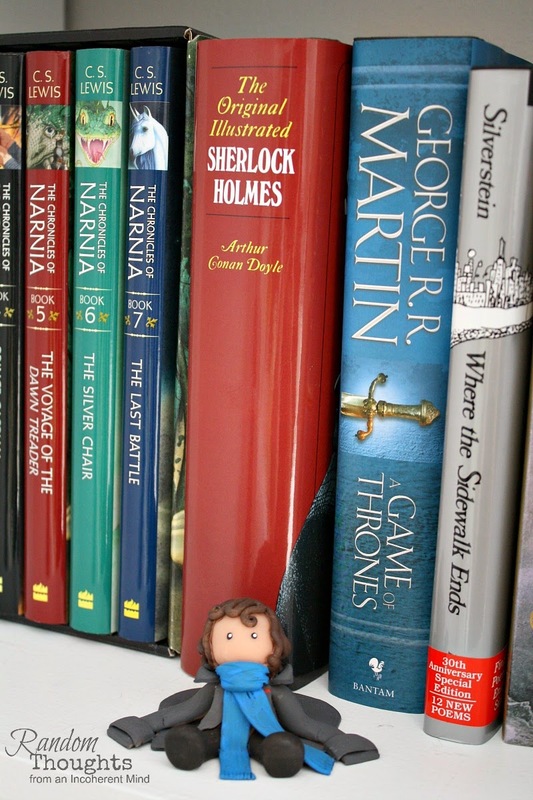 I love books, too, and I remember the shelves in my bedroom when I was a teen were filled with my favorites. Great makeover! I think a small throw rug on that sides of the bed, mainly the side we can see in the picture that has grey, white and yellow in it would look great. Something shaggy maybe? What a fabulous room Gina...I say yes to adding an area rug!! Love her grey and yellow color scheme!